and sometimes you roll. 2011 brought a bit of both for me. There were moments - big, giant boulder moments. Signed with AKA. Boulder. WISHLESS hit the shelves. Boulder. Moved out of the house I lived in for 17 years. Boulder. But there were a lot of moments in 365 days. I rolled through so many of them - waiting, wondering, hoping, wishing. praying. Here we are on the precipice of 2012, a brand new year all spit-shined and ready to unfurl. And I'm still rolling, still waiting, wondering, hoping, wishing and praying. I have plans - giant boulder-sized plans. You have them, too. I know you do. So here's to rocking the socks off of the next 365. Happiness and health to all. 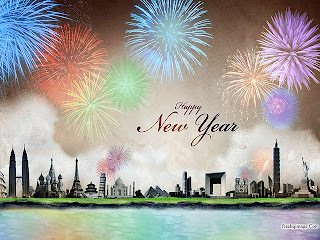 I hope that 2012 brings everything you wish it to and more. I'm really praying that this is the year for our agency. I'd love to see you all succeed. Good luck and know that I am cheering for you! Right back at ya, Buff! Thanks so much for dropping by. May this year be the one when all your wishes come true!